In the weird way that social media is creating, I would say the Karin Enders and I are becoming friends, even though we’ve never met in real life. We hang out in a bunch of the same online venues and share some interests. I find her funny and earnest. She’s a relatively new author, with only three books in her Beekman Hills series so far. 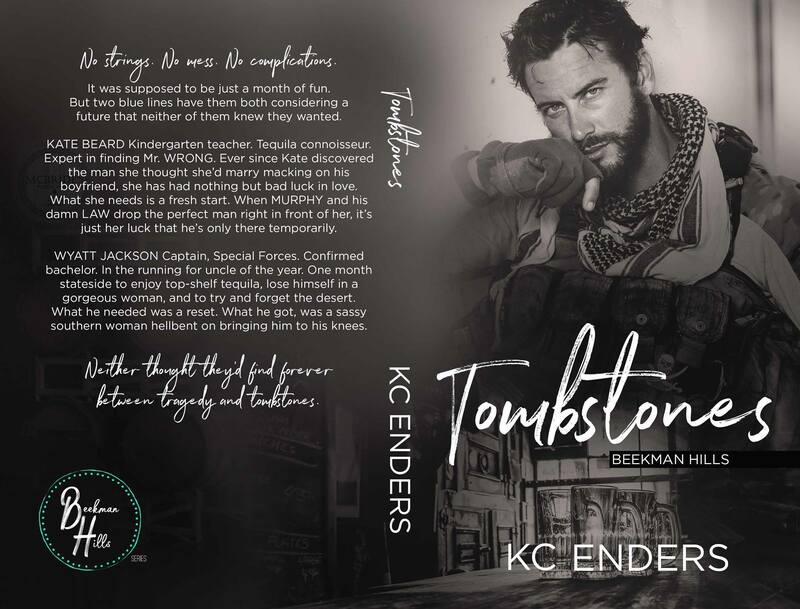 I’ve enjoyed them, so of course I was excited to be offered an ARC of the fourth release, Tombstones, to review. The blurb will tell you straight up that this story uses the “unplanned pregnancy” trope, so I’m not spoiling anything there. As a general rule, I don’t pick my reading material by trope, but if pushed, I’d have to say that I’m neutral when it comes to the idea of procreating as a major plot point of the story – I don’t hate it, but I don’t seek it out. That said, I’d say that this one is well done. Kate and Jack are my favourite kind of leading characters. Well rounded, fully developed, satisfyingly mature with the regular amount of baggage. No dark secrets or horrific circumstances, just the usual flotsam and jetsom that accrues when you try to live your life. Circumstances bring them together for what they think is going to be a satisfying tryst, and this being a romance novel, that plan is quickly complicated. Readers who are familiar with McBride’s will have met Kate before and most of the previous characters make at least a cameo in this book. However, I think you could quite easily read this as a standalone without losing anything major. I chortled quite frequently as I read this and laughed so much during the epilogue that my giant dogs came to check on me in the bath and made a mess. I also cried at one point, which doesn’t happen often. I think this is a testament to the strength of the development, even in the secondary characters. There is a scene or two that could use a bit of polishing but overall this was an engaging and satisfying read. I genuinely look forward to more stories from Karin, and maybe even the chance to meet her for real some day. I’ve been a bit lax posting reviews for books that I like, which is bad considering how much ratings and reviews can mean for independent authors. 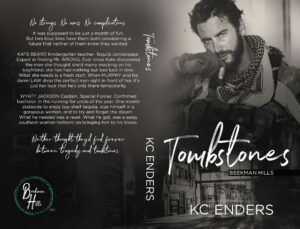 So, let me tell you a bit about Twist, by KC Enders. This is a novella about another bartender at McBrides’s, Finn. He’s a young, cocky flirt who enjoys working his way through all the willing women he can. But his arrogance hides a secret. Until he meets Adelaide, who isn’t impressed by his posing and makes him re-think his usual approach. I often find novellas to be disappointing – either the characters are great and I just want more or the plots are so abbreviated to meet the word count that they are either more like intros or force an HEA that isn’t justified by the action. This is one of the few that feels complete and fulfilling just the way it is. I think Finn and Addie are fun and I’d love to see more of them, but by the end, I felt like I was invested in them and the development of their relationship was realistic. I’d be happy to see them in again in future McBride’s books.